… or Hufflepuff or one of the other two Harry Potter houses. 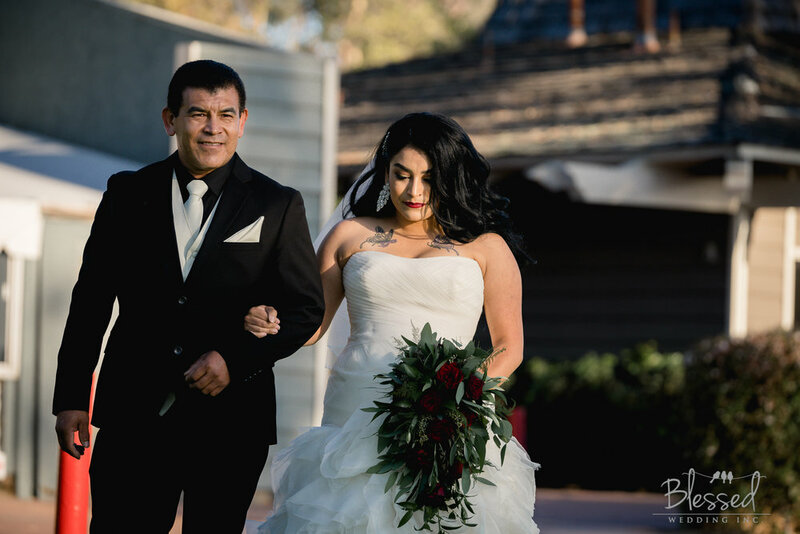 Whichever Harry Potter house this couple belongs to they brought it to Marina Village Conference Center last fall as they tied the knot. 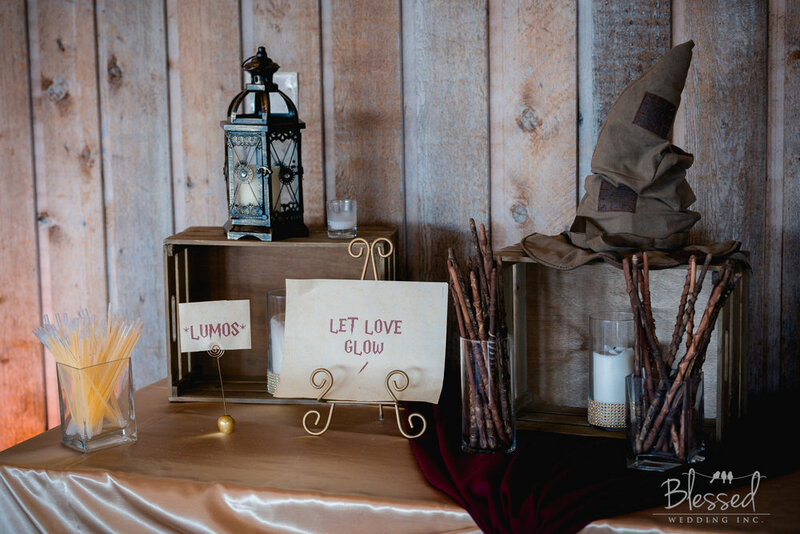 From the Dumbledore’s Candy Drops and Licorice Wands on the Sweets Table, to the Harry Potter inspired tables capes and the deep red color theme throughout, Jennifer & Javier had their Harry Potter inspired wedding they’ve always dreamt of. Our photographer Mikee did a phenomenal job of capturing it all! Before each wedding we always like to send out couples a few different questionnaires to prepare for their big day. Some are more housekeeping questionnaires to gather address information for getting ready location, ceremony start time, reception time etc. But we also have one we send out to get to know our couples better. 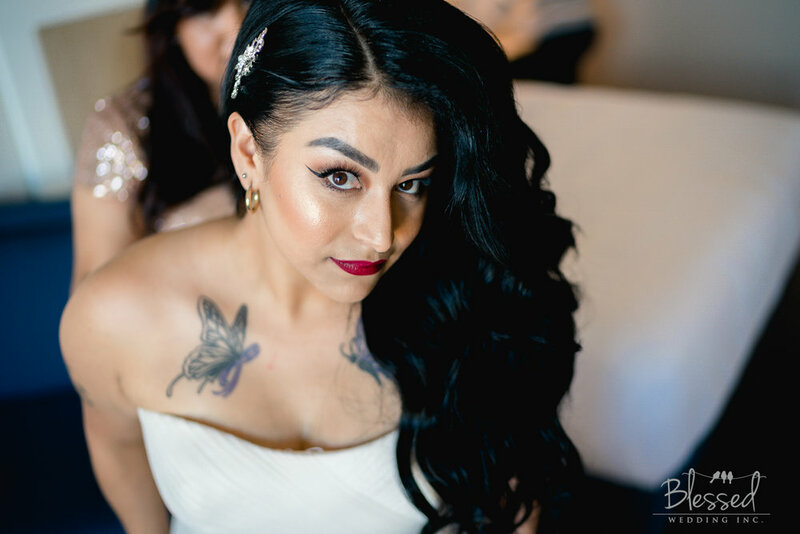 Unfortunately we don’t always have the chance to sit down with everyone before their wedding (maybe they booked us last minute, or they live further away or scheduled conflict), so this form is great for us to find out what makes this couple so special. One of the questions we asked Jennifer & Javier was to tell us their top 5 things they love to do together. And their answers couldn’t have been more accurate based on what we have now come to know of the couple; adventure, family and beer seems like the perfect combination to us! 1. Take out of town trips together. 2. Craft brewery tastings and trying new foods. 3. Family days/ nights with the kids. A big Thank YOU to the following vendors for making this day so special!